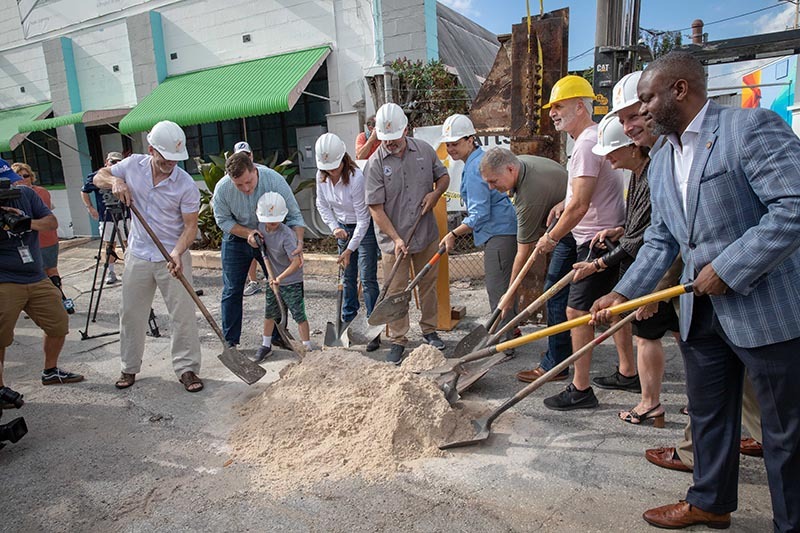 Groundbreaking for a 9/11 memorial sculpture, designed by Mark Aeling, and park in the Warehouse Arts District of St. Petersburg, Florida. 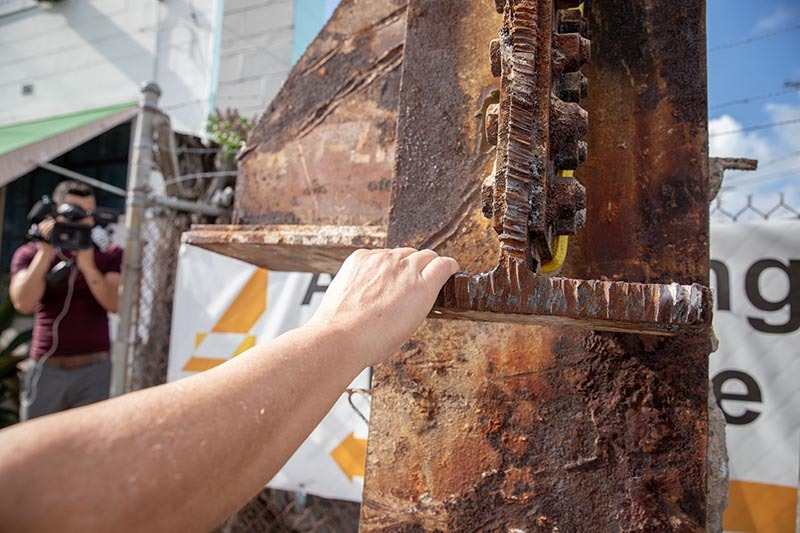 Over Veteran’s Day weekend 2018, we broke ground on Rise, a monument in the Warehouse Arts District of St. Pete that will serve as a symbol of America’s resiliency and will be dedicated to 9/11 community heroes, first responders, and the events that happened that day. Rise monument creator, Mark Aeling of MGA Sculpture Studio, shared his vision for a monument that will symbolize strength and rebirth with the World Trade Center beam serving as the centerpiece as a 25’ tall Phoenix Wing. Elected officials, community supporters, veterans, first responders, news crews, artists, leaders from the Warehouse Arts District, and the partners at American Freedom Distillery celebrated this historic groundbreaking together with excitement and a feeling of pride. We celebrate the unveiling on September 11th, 2019 in the Warehouse Arts District.